Published on 6 October 2012. 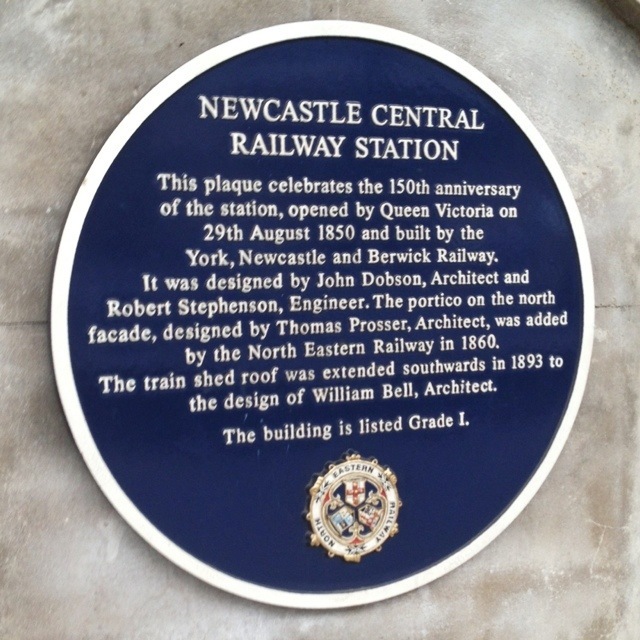 There’s not a lot I can add about this plaque… other than that it’s in an odd place, on Platform 4, rather than near the entrance or in a prominent location! This 1,839th post was filed under: Photo-a-day 2012, Newcastle-upon-Tyne, Rail.